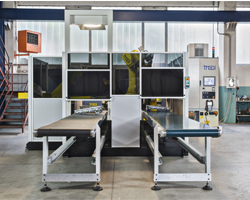 Over the years foundry industry have advanced in all departments like molding, casting, core making but need of quality metal finishing product is never resolved. Finishing has always been the bottle neck operation in foundries. 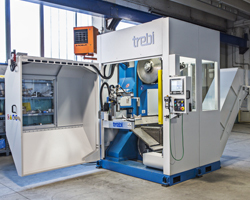 Trebi is not just a robot applicator, but machine builders Trebi is involved in mechanical design, electrical design, software programming, machining of all components, building, service in short everything out from one hand. 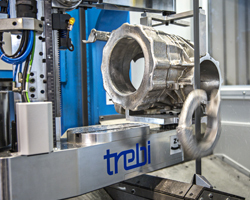 You can expect following benefits after installating trebi systems like : Margin incrementmProcess simplification, safety, less occupational injuries process traceability, no rejection and quicker deliveries. You can expect your most troublesome area like fettling can become your profit centre for the organization.